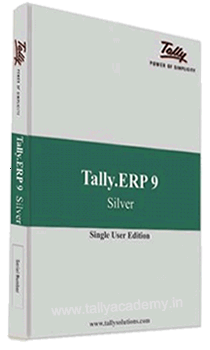 Single computer with Tally.ERP 9 is adequate for your operations, the Silver edition is what you need. A 'user' in this context is actually a computer system. 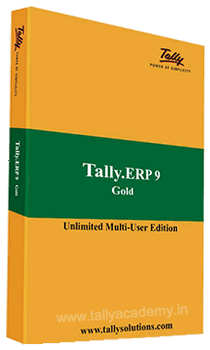 More than one computer needs to have access to Tally.ERP 9, a Gold edition is what you need. Any number of users can simultaneously have read and write access. Note, that there can be some degradation of performance with a large number of users and we have found that the Gold edition is usable with a maximum of ten users. (Series B will deliver the Diamond & Platinum editions with support for hundreds & thousands of users). Like with Silver you can manage as many companies (business entities) and personal books of accounts as you need. You may also create as many users as you need, and provide each with the appropriate level of security. With Remote Access, you can authorise access to your Chartered Accountants, who with their Tally.ERP 9 - Auditors' Edition , can remotely provide audit, compliance and advisory services. Similarly your Tally Service Partners can, via Remote Access, answers your queries and provide support. As a Gold user, you can create ten Tally.NET identities, with which your mobile users can login to your system from home or while on the move. 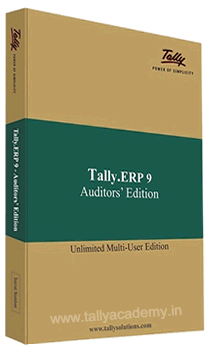 Other users of Tally.ERP 9 can also grant access to you by authorising these Tally.NET identities. It is easy to migrate to Gold from Silver - contact your Tally Partner. Your license will get updated to Gold and you can now access Tally.ERP 9 from multiple systems without the need to make any other change! A growing economy, widening tax base and increasing compliance requirements impact Chartered Accountants. Their time is at a premium, their travel costs grow, and they find it hard to find staff. The powerful audit tool designed just for CAs can be your solution. High Concurrency :Multiple users will be able to simultaneously load companies, save transactions, export reports, print reports, import data, take backup and perform other data related activities without experiencing any downtime or wait state. Rapid Development : TDL is a language based on definitions. A definition language provides the users with 'Definitions' that can be used to specify the task to be performed. It is possible to reuse the existing definitions and deploy applications quickly. This is a language meant for rapid development. It is possible to develop complex reports within minutes. User can extend the default functionalities of the product by writing only a few lines of code. Multiple Output Capability :Using the same language it is possible to output to multiple output devices and formats .Whenever an output is generated this can be displayed on the screen, printed ,transferred to a file in particular format, mailed or transferred to a webpage using Http protocol. 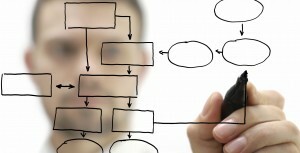 Data Management Capability : Tally follows a hierarchical object oriented data structure. TDL provides the capability of creating and manipulating these objects with ease. Apart from the predefined objects user can also store and manipulate data as required by him.